Welcome to my very first blog post. I am equal parts nervous and excited about this. 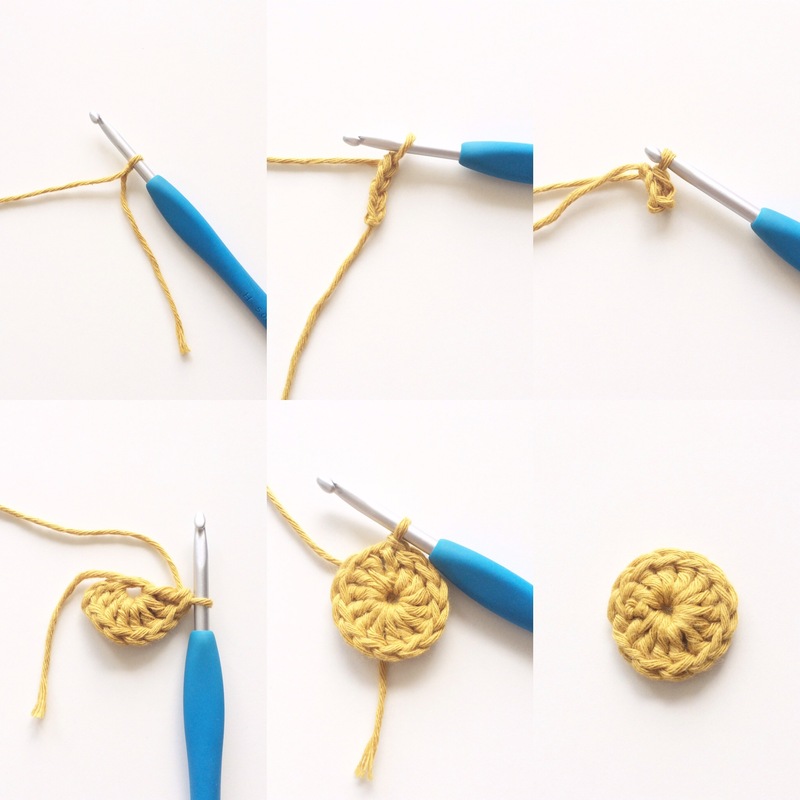 Crochet has become such an integral part of my life that this blog just felt like a logical next step. 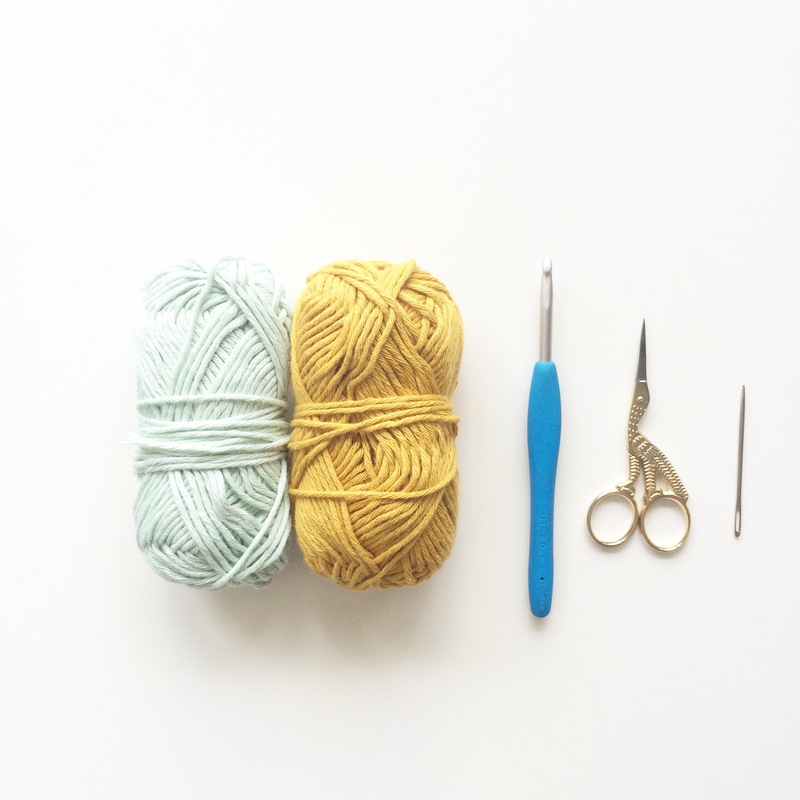 And all this is happening because of the amazing community of crafters on Instagram. Ok, so about these flowers. This is such an easy pattern to make. 3 rounds and you are done! The tutorial on how to customise these and join them as you go can be found here. And Voila! You just made your first Easy Peasy Flower. Now you can stop at just one but where’s the fun in that!! I hope you give these a go. The possibilities are endless and I would LOVE to see what you make with them. If you share your makes on Instagram, then please do tag them using the #easypeasyflower so I can have a look at all the lovely flowers you make. This is my first written pattern so if you find any mistakes or if something doesn’t make sense then please do ask and I’ll be more than happy to help. Congrats on starting a blog Aki! I’m surprised that you didn’t already have one. I love your IG feed and I can’t wait to find some time to make these pretty flowers. Best of luck! Thank you so much Mandy! You are a legend. For a wonderful start! Welcome! Nice flowers, and very easy pattern. Thanks!! Thank you so much for these. So many patterns are embellished with flowers and people just assume you know how to do them. Well done Aki! Big step starting your blog and putting yourself out there. Beautiful! Thank You for sharing; I look forward to more great fiber art. Thank you Kim :). I really appreciate the encouragement and hope to share a lot of yarny goodness in the future! Thank you so much Karen :). Oh they would make a lovely garland for sure and knowing you I m sure you’ll pick the perfect colours too! Je découvre et j’aime ! Tuto très clair même quand on ne parle pas anglais ! Merci et continuez ! Bravo ! can you show tutorial of joining these flowers? You can find the tutorial https://knitpurlhook.com/2015/10/14/customising-your-easy-peasy-flowers/ here. 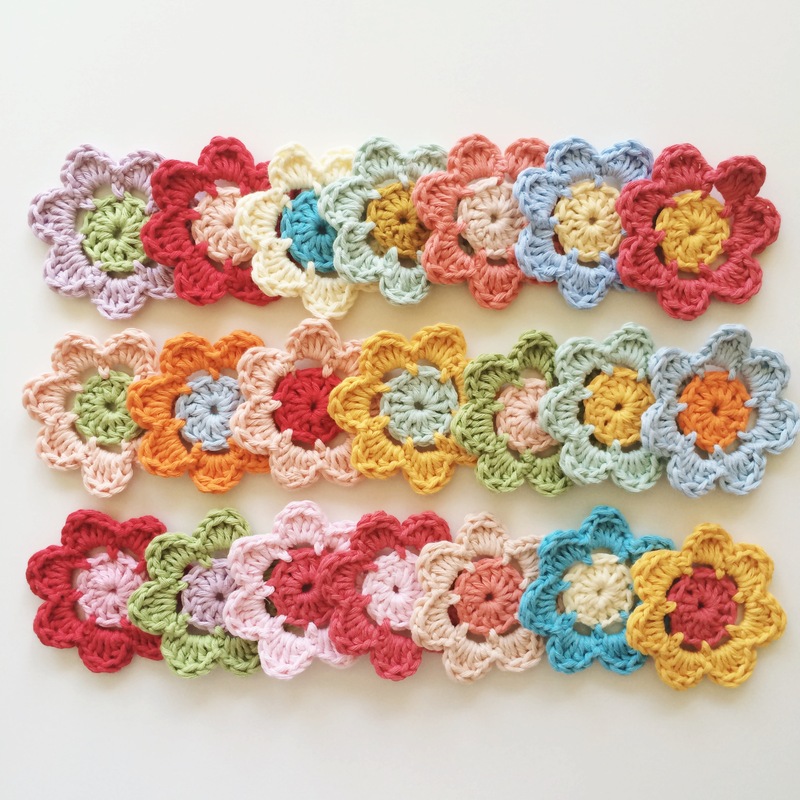 I appreciate your flowers and it seems very nice, I found a similar pattern and I thought that is such a beautiful craft, my back room is all lighter shades and a really calm feeling whilst I have been doing a small amount of work in there. I thought they look beautiful and it is nice for me to see yours different and a really nice effect. 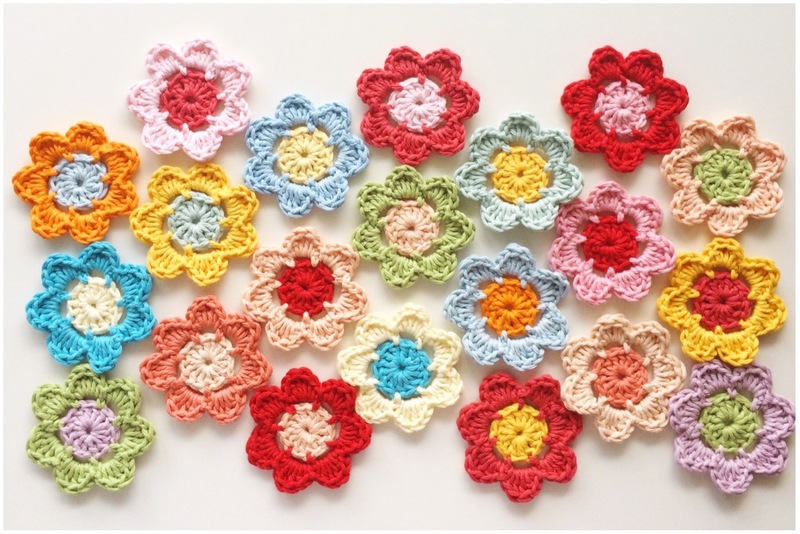 I have never used crochet needles before (I am now learning how to knit actually), but I am definitely going to try and make these beautify flowers! Hope I can make it! Congratulations with your new blog!! Love your work!! Would love this pattern but it will not print. Thank you so much for your tutorial. 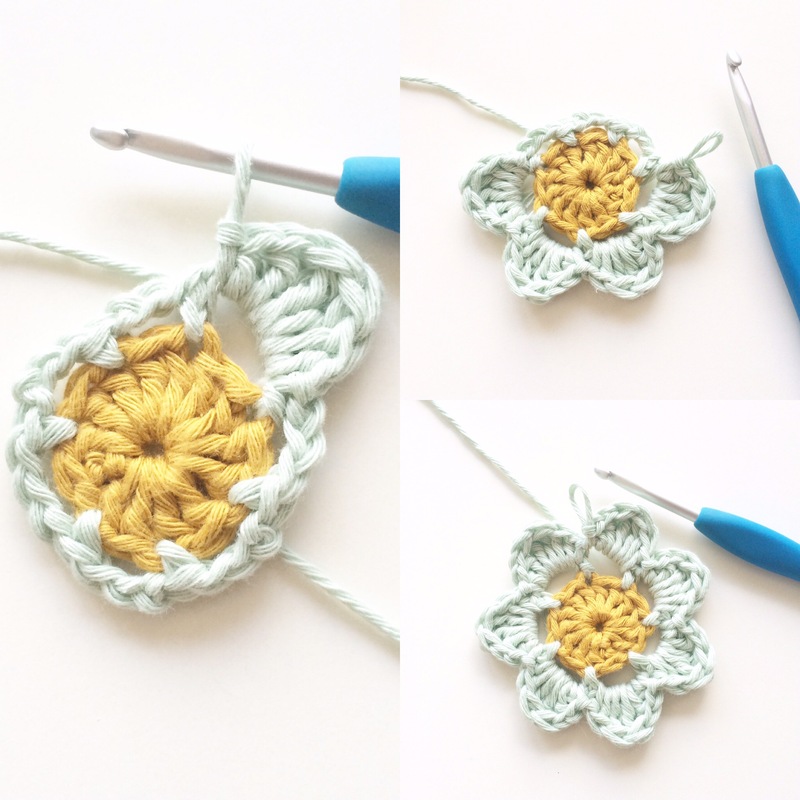 You made it easy for a beginner to make a pretty flower! Thank you so much for this very easy to follow tutorial! 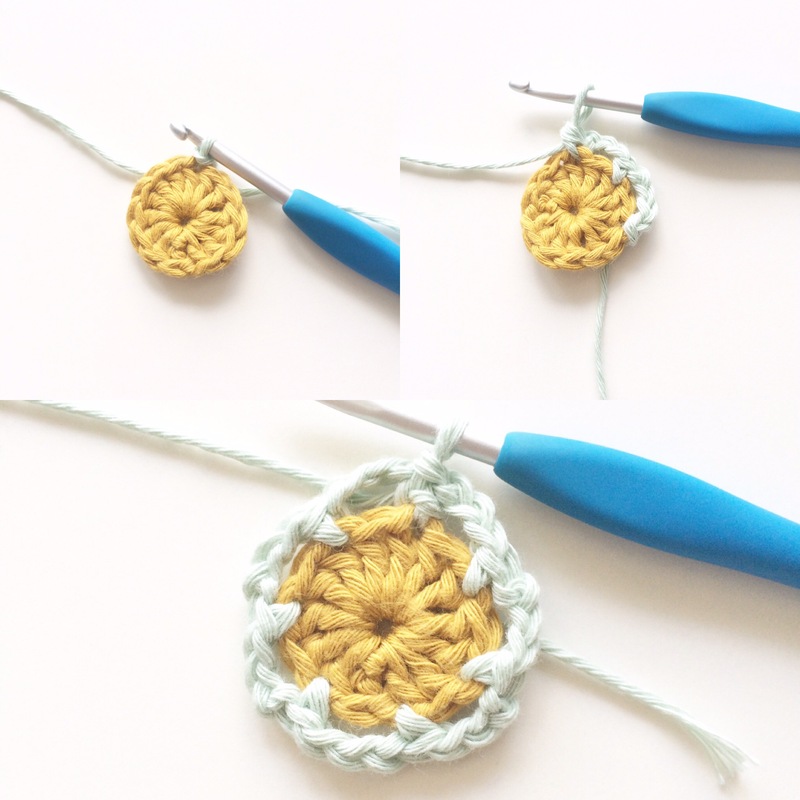 I have been crocheting all my life but never learned how to make flowers. 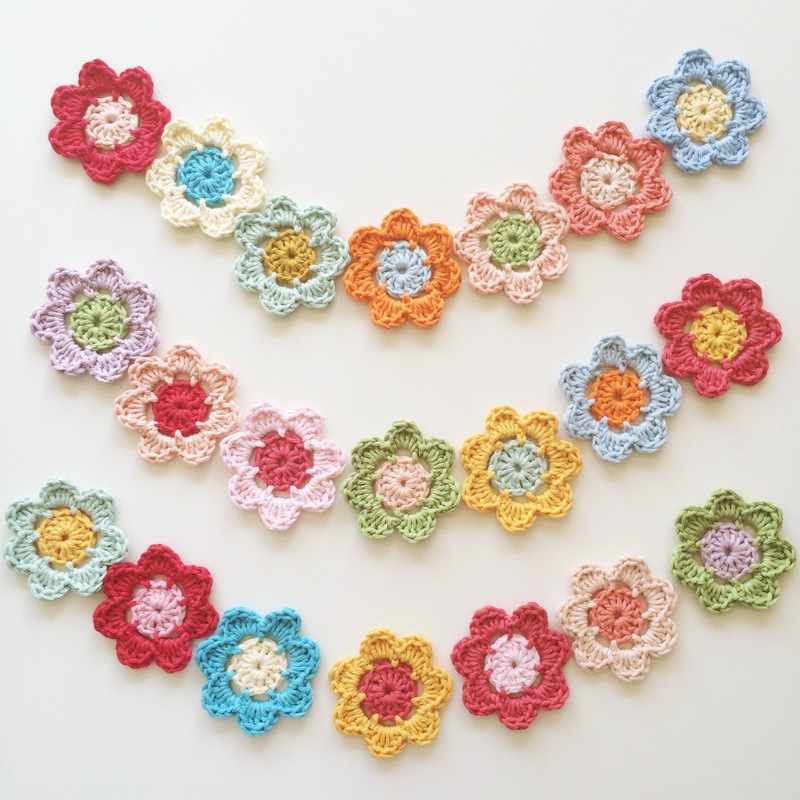 I just found your pattern yesterday and have already made 6 flowers! Already in a flow like I’ve been making them for years! The last one I just finished minutes ago, I tried a variation on the 7 petal. I decreased the tr by 1. It makes for slightly pointy petals. I plan to put the flowers onto crocheted slippers but haven’t quite figured out how to attach them.. Do you have any tips? Thanx again! This pattern makes a seven petal flower. 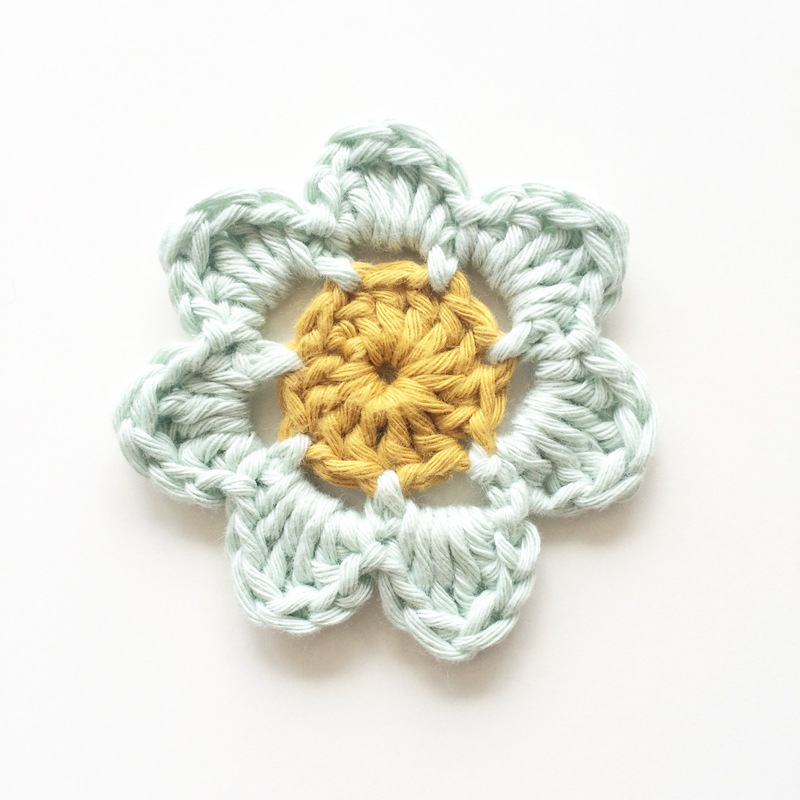 The follow up pattern calls for an eight petal flower. Yes I just made my first flower and tried to make the rest of the square and found out you need 8 petals for the square. What is going on here?